Comprehensive but relaxed and friendly lessons. Marcus has a very flexible teaching technique, adjusting to suit my needs and ensuring that I develop a full understanding of all the factors that come in to being a road user. Not only is his delivery comprehensive but relaxed and friendly. Always punctual and professional. I'll be recommending Marcus to anyone looking for driving lessons and even some of the friends who already have their license! Thanks Marcus ! Marcus is a very relaxed driving instructor. Offering constructive criticism in a very good way, a great teacher who has many different methods to help you pass. Lessons are structured and tailored to how you want them to go meaning you get more freedom. He will always encourage you and I’ve never felt pressured. Very professional. The structure of the lessons is to teach you and not to tell you. 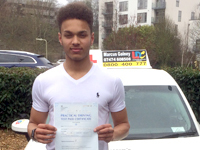 Marcus as an instructor is first class, very patient and his knowledge is unquestionable. Will be recommending him to everybody. Always punctual and pleasant. With the car being so modern it’s a joy. Great opportunity to understand modern tech and it fills you with confidence. Passed first time! Only 2 faults. 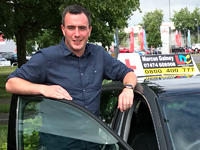 Marcus is a fantastic driving instructor, he taught me all the skills I needed to feel calm and confident in my test as well as tailoring driving to real life situations. His method of teaching ensures you have not only learn the necessary skills but also understand the reasons why each skill is important. The LDC handbook and DVD are very useful, they enable you to watch a previous test which made me feel ready and calm, the books is full of really helpful information and provides a run through of what to expect on your lessons. 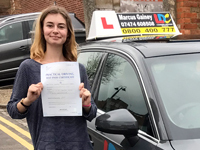 I am so pleased that I chose to use LDC and am ecstatic that I had Marcus as my instructor, I wouldn’t be the driver I am now without him. FLH I’m finally happy and confident! Marcus was very good from start to finish. He was very patient and always tried to find the best technique to help, rather than sticking with just one. I was also given the opportunity to take control of my own learning, which I really enjoyed about the lessons. Thank you Marcus! My instructor was very helpful in the fact that he orientated lessons around what I needed to practice the most. 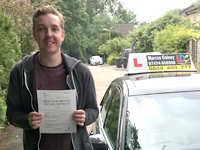 He gave good constructive criticism to help me improve my driving ability, coaching rather than telling, in order for me to pass my test first time, with only 2 minors. I had taken a couple of lessons with Marcus a few months earlier but had taken a break from lessons. 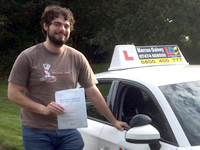 Once deciding to go back to driving lessons i was determined to go with Marcus again. Hes been an amazing teacher giving great explanation to any faults, while still providing a calm atmosphere, even in difficult situations. He was able to provide all this in a fantastic manner in order to make the most of our lessons. He even used Cameras from his car to show how i could have effected others i may not have even noticed at the time, really showing the importance of certain checks while driving. He's very patient and had a great sense of humour, making our lessons a joy! I was the type to speed from situation to situation, but Marcus reeled me in and showed me a much more progressive style of driving, helping me to keep calm, and still keep up with the other traffic. i didn't believe him at first but it really worked and way better than i ever expected. 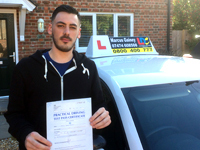 It even impressed the Driving Examiner, leading him to compliment Marcus on his teaching style. I would recommend Marcus to Everyone and Anyone, BEST TEACHER I EVER HAD. I had originally taken a handful of lessons with a different company some years before when i booked the midway pass course. Whereas my original instructor was very stern and particular in specific areas, Marcus could see i had some road confidence as i have ridden a motorcycle previously and was happy to help develop what i had learned as opposed to resetting the good habits. My lessons didn't feel like lessons, they were calm, light-heart and felt more like driving with a friend or family member giving good advice and tips. Very informative and surprise good fun. 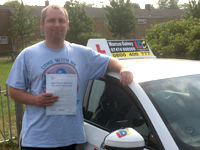 I had originally been with another instructor so knew the basic control skills, but had changed to Marcus. This was great because the lessons were well planned and managed, which led me to pass very quickly. Plenty of positive feedback to help me learn the new techniques. Would recommend every time! I liked how Marcus was very helpful and gave me lots of choice during my lessons. I would highly recommend him. I would Highly Recommend Marcus as your driving instructor. Marcus is always punctual and was never late to any of my lessons. He has a lot of knowledge about driving and was able to put it to me in an easy way to understand. I have used other instructors in the past but none gave their undivided attention as much as Marcus. 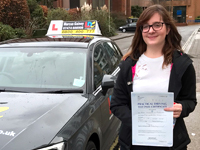 I passed first time with very few minors and was confident enough to get straight on the road. Thanks Marcus, I have recommended you too all my family and friends.